From within Israeli jails, we send our deep condolences to the family of Nelson Mandela, to the people of South Africa and to the entire humanity, in particular to all victims of oppression and injustice as well as to all those struggling for freedom and human dignity. We share the sadness and the strong feeling of gratitude towards Nelson Mandela. We, the PPP, send our condolences to our Palestinian people who had the honor of having Nelson Mandela as the greatest friend of us as a people seeking national liberation, decolonization and dezionisation of Palestine. Mandela made the linkage more clear between the struggles of our two peoples. He considered that the liberation of South Africa would be completed with the liberation of Palestine from Israeli occupation. Nelson Mandela will not be missed, he cannot disappear, he exists and will continue to exist and be alive in the hearts and minds of all nations. 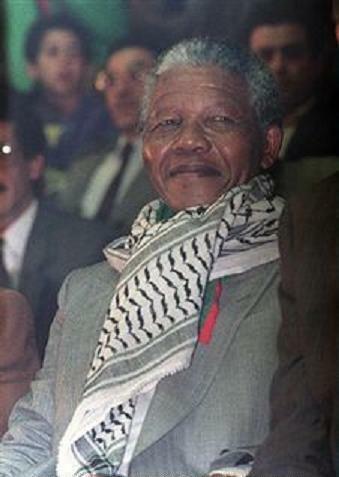 Among Palestinians, Nelson Mandela symbolizes the most promising story in our long road to freedom. For decades, Mandela has been an anchor of hope, an integral part of our history of struggle as well of Palestinian and Arab poetry, literature, songs, names of persons and institutions. Mandela is not just a symbol of South Africa but also a symbol of Palestine besides the historical Palestinian leader Yaser Arafat and the great fighters. We consider the South African people as sisters and brothers of all Palestinians. On the contrary, Israel as the remaining colonial racist enterprise of Zionism in Palestine and the apartheid regime of the past in South Africa were strategical allies and shared the same ‘values’. Israel, apartheid as well as all illegetimate regimes are allies. It is repugnant to listen to Israeli leaders who abuse Nelson Mandela’s values with their fulsome campaign that makes short work of his! Mandela symbolized three major landmarks: struggle for freedom, the failure of the apartheid regime and the act of forgiveness. Only great leaders with great victories have the capacity to forgive. But forgiveness is possible after liberation, not before. Forgiveness doesn’t mean forgetting. The oppressors want their victims to forget in order to undermine their rights, abused and violated by the oppressor. Mandela, ANC and all South African people deserve the greatest respect and mourning from the people. Mandela deserves the respect all the world leaders showed him. But those leaders, in particular those of the USA and the post-colonial countries of Europe, should apologize to the people of South Africa as well as to all peoples who suffered slavery and colonization at the hands of these countries. The crimes of their countries against humanity shouldn’t be forgotten. 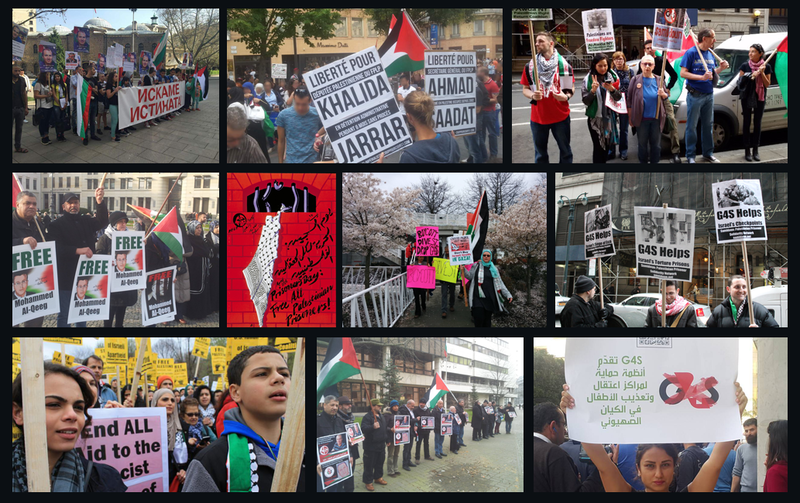 Of the Palestinian political prisoners (PPP) in Israeli jails, who currently number 5,000, hundreds have spent already 27 years imprisoned as did Mandela. When we as PPP and as Palestinian people think of Mandela, we are sure that freedom can be achieved only through the struggle for it. The Israeli colonial enterprise is not stronger than the apartheid regime. Palestine will be free.